The Players Tailgate at the Super Bowl has created a reputation of being the best game day experience ahead of the Super Bowl. And with celebrities, big-name chefs and active players galore, the 2017 Players Tailgate at Super Bowl LI promises to be no different. Yahoo! Finance recently wrote an article, “The $400,000 Way to Do the Super Bowl,” in which they listed some of the most high-end luxuries of taking a trip to the Super Bowl. While not all of the options are necessarily cost-friendly for the average football fan, the 2017 Players Tailgate ranks as the cheapest event with the most bang for the buck. To read the rest of the article from Yahoo! Finance, click here. Get your tickets TODAY for the best pre-game tailgate before Super Bowl LI in Houston! 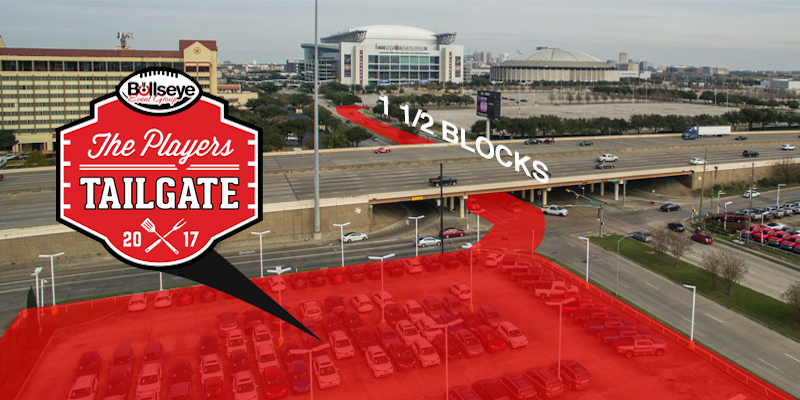 Located just 1.5 blocks from NRG Stadium, the 2017 Players Tailgate at Super Bowl LI features an all-star culinary experience created by celebrity chef Guy Fieri, ESPN’s Jaymee Sire, entertainment from the world-renowned DJ Irie, over 30 active and former NFL players and more. Get your tickets now!